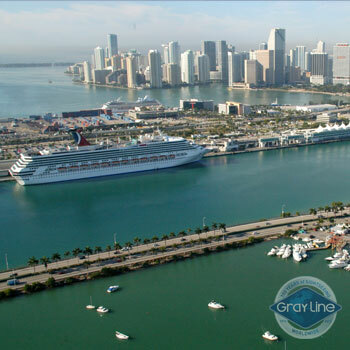 This is your chance to see Miami from a different perspective, sightseeing doesn´t get better than this! 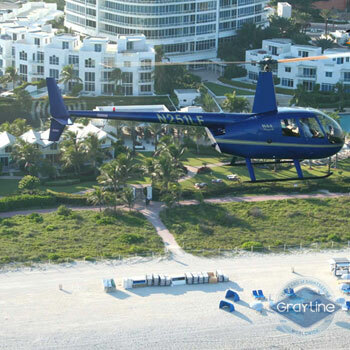 Fly over Miami´s beautiful beaches and blue, sparkling waters of Gulf Stream. 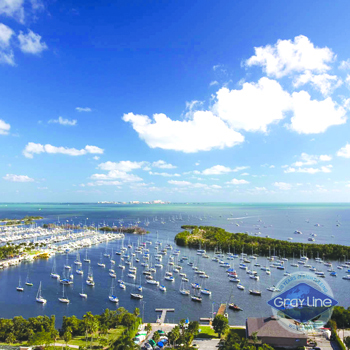 This tour departs from Tamiami Airport and soon you´ll be traveling East towards the coast line to Gables States, where you will see some of the most beautiful homes in the country. 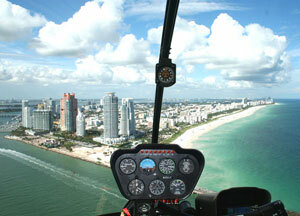 Continuing North, we will fly along the coast to Coco Plum, Coconut Grove, Downtown Miami and through Government Cut. 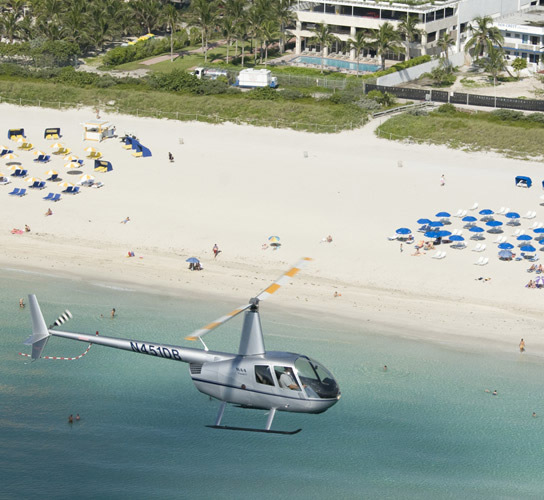 Fly over cruise ships and houses of some of South Florida's most famous residents. 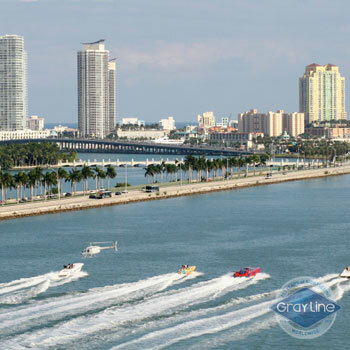 Our adventure will also take us over South Beach, the Miami Seaquarium and Key Biscayne. Single passengers must pay the two passenger ticket price. Please note that any passenger over 280lbs /129 kg cannot ride in the helicopter. We reserve the right to alter, reschedule or cancel this tour without prior notice due unforeseen circumstances or unsuitable weather conditions. No fees are payable to the client if flight is altered, rescheduled or canceled due weather or other operational contingency. Clients should indicate time preference at booking (subject to availability). Promotion can be cancelled without previous notice. Children under 2 years old may fly at no charge and must sit on adult's lap. Tour departs from Kendall-Tamiami Airport: 14250 SW 129ST, bldg 235 Miami, FL 33186. Helicopters depart daily between 9:00am and 6:00pm except on Sundays. 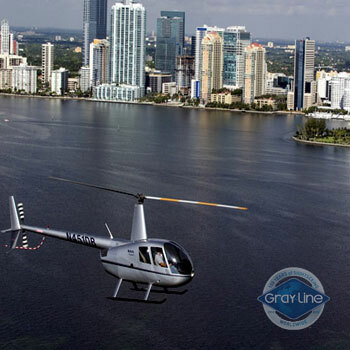 Please call 1.877.643.1258 or email us (reconfirm@graylinemiami.com) at least 48 hours prior to reconfirm tour details and present your printed voucher to the Gray Line Miami Representative. Once purchased, this tour is non-refundable due to advanced reservation requirements. Passengers need to arrive to the airport 15 to 30 minute before their time of flight.